RemotelyAnywhere is a powerful remote administration and control tool. It offers industry leading security and performance for remote administration. 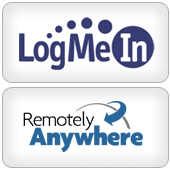 RemotelyAnywhere software allows you to remotely administer your computer over the web. Fast, secure system administration FROM ANYWHERE. Workstation Edition helps system administrators keep IT systems up and computer users happy by offering the industry’s richest remote-support toolkit. Support staff can often detect, diagnose, and solve problems faster than local support using built-in operating system functions. Background access means the user need not be interrupted during the implementation of solutions. Server Edition provides real-time performance, connection, hardware and registry information so you know exactly what’s going on and when. This gives you access to the nuts and bolts of your system so that you can perform the diagnostic tests you need in order to keep your servers running smoothly. Network Console is the perfect tool for system administrators to detect, control and deploy RemotelyAnywhere on computers they support. 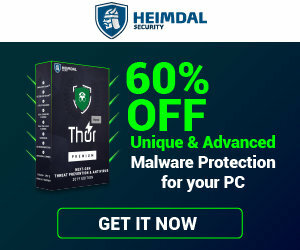 This application runs on the administrator’s PC and allows them to instantly remote control, access and configure any of the computers on the network that have RemotelyAnywhere or LogMeIn IT Reach installed. Help Desk Chat. Allows you to communicate with the user sitting in front of the remote computer as you would with any instant messenger software. So you can work on the computer remotely and keep the user updated at the same time. Dynamic IP Support. If you don’t have a connection with a fixed IP address you can use this feature to get email whenever your IP address changes. This is very handy for people trying to connect to their home computers. ActiveX. Faster performance and a more native Windows desktop experience when compared to Java controls. Host screen blanking. Blank the screen of the computer you are remote controlling, ensuring that the person sitting in front of it cannot view sensitive information. Host screen recording to AVI file. Record screen activity during remote control. Finds useful application in such areas as security and training. Fast User Switching Support. Allows several people to share a computer without logging on and off. RemotelyAnywhere fully supports this functionality. Display Basic System Info. Get an immediate overview of the remote system so you can assess the health of the computer. Public Key improvements. A new centralized interface to help better manage RemotelyAnywhere’s use of SSH Public Key authentication keys. Remote Control. Fast, secure remote control of your host computers desktop and system resources. File Transfer. Secure and easy file transfer between your local and host computers. Layered Security. Including 128- to 256- bit SSL encryption. IP-Address lockout, and user and group-defined access permissions. Server Function. Workstation Edition and Server Edition come with a valuable set of server tools. Computer Management. Direct, rapid access a server’s diagnostic toolset. Computer Settings. View and modify a number of settings on the remote machine. Scheduling and Alerts. Including scripted, e-mail, or event-triggered alerts. Performance Monitoring. Easy access to all data performance collected by RemotelyAnywhere. Configuration. All the features of RemotelyAnywhere are fully configurable. PDA Remote Control. Remote control and administration functions via wireless PDA. Yes, only this could also be noted that it is not freeware, is needed to buy.